According to Pragmatic Institute’s product management survey, technology marketers spend nearly half of their time on sales support, a statistic that reflects an alarming state of confusion about the role of marketing in our industry. Yet the functions of Sales and Marketing are easily distinguished; Marketing focuses on a market full of opportunities, while Sales focuses on individual opportunities. 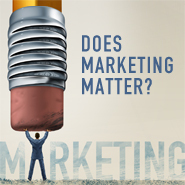 So why are marketers so focused on sales? During Microsoft’s climb to the top of the software industry, rapid-fire product cycles often happened without much front-end input from the folks in marketing. Engineers would develop new software, pack it with bells and whistles, decide on an acceptable number of bugs and toss it over to marketing for a press release and a launch event. This problem isn’t unique to Microsoft, they have identified a problem that is epidemic in an industry built with an emphasis on engineering and sales— marketing is an afterthought, just a tactical cog in a production process that results in various events, data sheets and press releases. Marketing is simply there to announce that Engineering has developed this wonderful product (great news!) and the customers are supposed to line up to buy whatever we have built. If the marketing role is so narrowly defined, who could argue with the logic of using these resources to help close sales? There is strong evidence that this is all about to change, and now Microsoft CEO Steve Ballmer has gone public with a commitment to “be excellent in marketing execution.” My sense is that the technology industry is finally growing up and that we are beginning to realize what other mature industries have long understood—marketing superiority delivers a sustainable, defensible competitive advantage to those who master it. It won’t be easy to develop the skills and cultural changes that will enable this new role. Microsoft estimates that they are currently “halfway through what may ultimately be a 10-year journey” to reinvent their marketing organization. Where are you in the process? What area of focus would produce the most benefits in the shortest amount of time? Here’s one worth considering—how could Marketing support Sales without doing individual sales support? The first step toward any change is to realize that your current actions, however well intended, aren’t getting you where you want to go. It should be easy to see that the time you devote to a single prospect opportunity (clearly a sales role) steals time that could have been used to influence an entire market about the value of your solutions (a reasonable description of the Marketing job). This is not to say that sales support is not important; if sales aren’t closed your company will not survive. We are only asking you to recognize that sales support is not marketing, and to clearly identify which role you are truly fulfilling. Think about the last time you spent days on a presentation, demo or reference story that helped one sales person work on one deal. Now contrast that to the function of Marketing, which should be developing programs that influence all buyers in a specific role in one of your targeted markets. Which job is really yours: influencing the attitudes that drive a single customer to choose your solution (sales support), or influencing the attitudes that drive a market to choose your solution (marketing)? Keep track of your time in each of these categories, for just a week or two, and see where you are investing your time. Sales people won’t look for the answers in the tools we’ve provided, they just pick up the phone and call me (“code” for “sales people are lazy”). The sales people don’t understand our products (they don’t take the time to learn, see reason #1). Or (one of my favorites): Sales can’t close the business without me (sales people get all the respect, hopefully some of it will accrue to my benefit if I help with the deal). I’m not denying that sales people want to find the quickest way to get the deal closed, and that most of them would be happy to have you do the work for them. But one of the reasons that Sales is so dependent on marketing people for help with individual deals is that the standard marketing collateral are of little or no help during the sales cycle. Your materials simply do not communicate answers to the questions the buyers are asking. Would you read (or listen) to this? Is it easy to find the answers to the questions that will help you make a decision? Is there something about this solution that is compelling and distinct from the competitors’ offerings? Finally, do you believe the vendor statements are proof-points well presented and convincing? The fact is that very few marketing tools respond to the real questions that a buyer wants answered as they move through the various stages of the decision process. Is it any wonder that Sales asks you to customize something for each prospect situation? If you don’t know the people you want to influence, you are not communicating. That’s why the best sales people know that the first meeting with the prospect is not the time to talk about their solution or show a presentation. This first meeting is their best—perhaps only—chance to really understand that prospect’s most urgent problems. An experienced sales rep is skilled at asking questions, learning about the prospect’s concerns and uncovering the metrics that your buyer’s management or stakeholders use to measure success. The second meeting is your salesperson’s chance to present your company’s products or services as the solution to the problems the prospect described. If your sales rep can’t connect your products to this business situation and success metrics, your sales rep may not get another meeting, much less win the business. This is when the typical sales-support request arrives on your desk. The sales representative asks you to prepare a special presentation, demo, reference story, or worse, to accompany him on the next sales call. The knowledge inside your head is needed to connect the product to this prospect’s view of the problem. The standard marketing tools either describe every conceivable product benefit or they are so vague that they are useless for this situation. Now consider a different scenario. You have a buyer persona profile for each of the job functions that have the most impact on the purchase decision for your solutions. The profile includes the words that buyer would use to describe their most urgent problems and the way that buyer wants to measure the success of the investment. Your personas are built by job title, by industry, and by size of company—a few of the characteristics that typically affect the buyer persona details. Armed with this insight into the target audience, you anticipated the needs of the salesperson and built marketing collateral, presentations and other tools that connect the company’s solutions to the problems that are most pervasive and urgent for each of your targeted buyer personas. The necessary information is not trapped in your head; it is easily accessible in the marketing materials. 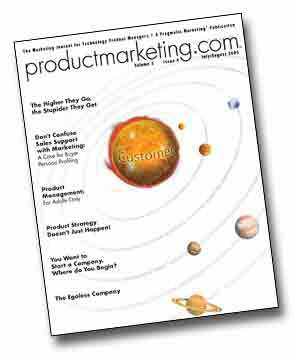 Now the customizations needed for any particular prospect situation involve a few adjustments, not a complete rewrite. A persona is a short biography of the typical customer; not just a job description but a person description. It comments on the buyer’s background, daily activities, and how they deal with their current set of problems. The more experience you have in your market, the more obvious the personas become. We acknowledge that the idea of “profiling” is politically incorrect, but we also know that marketers who understand buyer personas find it easy to create well-targeted messages. The marketing materials developed from the persona perspective, and not a product point-of-view, are likely to communicate answers to the same problems that your sales rep will discover in his first few meetings with an individual buyer. Here is an example of a buyer persona built by a company that sells software to corporations of all sizes, with a historical emphasis on large enterprises. This company’s marketing was very product-focused until they built this profile for a small business owner and realized that his needs were very different. This guy is an entrepreneur, he thinks differently than corporate managers. He is spending his own money, not some unknown shareholders’. He wants to know how he can make more money now, how this will have an immediate impact on his business. He doesn’t have to go through a complex process to make a decision—if he sees an opportunity; he wants it to work immediately. He wants to know exactly how much it will cost and when he can see the results. This guy is very involved in the day-to-day operations of the business, so he doesn’t have time to attend out-of-town conferences. He has one local networking group that he meets for an occasional breakfast, and he often asks his associates to recommend solutions for his problems. The nature of his business gives him access to the Internet, so he will also search online for new products. This profile went on to identify the most urgent problems for the small business person, with an emphasis on those that this company’s solution could address. It defined the kinds of groups the business owner attends, and the keywords he uses during his online search for solutions. This company realized that their messaging was built for their larger enterprise buyers and that they were not delivering their messages in the places this persona was visiting. So who can help you to understand your buyers? We tell product managers to visit customers and non-customers on a regular basis. If they’ve been following our advice (and not buried with sales support or development projects) they have good data about the most urgent problems facing your target buyers. You will want to focus on the information they collected from non-customers, as these are the people your sales people need to influence. Your product managers should define both “user” and “buyer” personas. User personas profile those people who actually use, or represent the interests of the users, of your solution. Buyer personas include any other people in the company who influence the purchase decision. It may be useful to think of your buyer personas in three categories. Economic buyers are those who concern themselves with the cost of the investment—“C”-level buyers such as the CFO are usually in this category. Technology buyers are focused on the technical details, such as integration or conversion challenges. User buyers are those who evaluate the aspects of the product that are relevant on a day-to-day basis. User buyers may be the people who will actually use the system, or they may be managers responsible for the satisfaction of a user community. It is not necessary to profile everyone who uses or knows about your solution in the target market. Start by understanding the sales process and only focus on those who will play an active part. These are the people that your marketing programs will need to influence. If Product Management is only visiting current customers, or if they aren’t getting out into the market at all, you will need to find another way to get this information. Many people want to engage a research company or to rely on third-party information such as analyst reports. You can and should use these resources, but there is no substitute for the first-hand intelligence gained from listening to the market yourself. Start with the data that others developed, then use it to open conversations with your target audience so that you can hear what they say and how they say it. At trade shows and conferences, attend the sessions, mingle with the attendees, and use these interactions to hone your perceptions and deepen your insights. You should also subscribe to and read the periodicals, newsletters and online forums that influence your target audience. Pay attention to the trends and concerns most frequently cited as you read what your buyers read. Then record any interactions on a profile worksheet, listing the top five pain points. Soon you will begin to see a pattern—this is the time to start to create your persona profile. It is also a good idea to save specific quotes that reflect the words that your buyer uses. Consider the value you could deliver if the collateral or series of web pages you had planned to develop for a product could be focused on specific buyer types. The buyer could merely turn to the page appropriate to his or her role rather than attempt to glean what they need from a jumble of messages. Before you write anything intended for an external audience, read the buyer’s persona profile and see if what you are saying is what your audience really wants to hear. 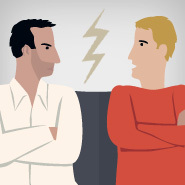 Your company has a lot of product experts, but who is the buyer persona expert? The answer is probably “no one.” So each sales interaction initiates a request for another custom marketing piece and sales support continues to dominate the time and resources that could have been invested in market development. As you develop your marketing programs and strategies with a focus on buyer personas, you will be supporting Sales, but you won’t be doing sales support. Your efforts will apply to a market full of opportunities, which is what real marketing is all about. 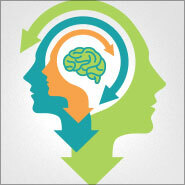 Learn more about the power of buyer personas at Pragmatic Institute's Market.